I am a pretty big fan of Old Bay Seasoning. I find it to be quite versatile and I use it in & on top of many items. From inside my ground chicken burgers to a sprinkle on fries, Old Bay is pretty awesome. Plus, of course, it rocks my seafood to a whole new level. When I spotted these Cape Cod Chips, dusted with Old Bay, I knew I had to try them. Actually, let’s step back. 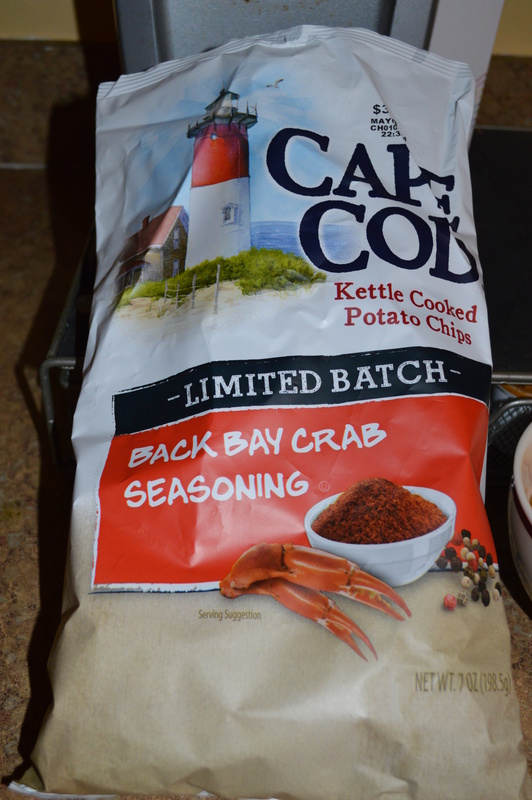 When I spotted these Cape Cod Chips, dusted with Back Bay Crab Seasoning, I knew I had to try them. Either our friends at Cape Cod, or our friends at Old Bay, decided not to be friends in this venture. So rather than throwing on the classic Old Bay Logo & container, we receive a crab claw & a bowl of seasoning. Nonetheless, these are Old Bay. Plain and simple. Enough said, let’s get Back to the Old Bay. These chips are plastered with those two words we all love – Limited Batch. Ohh how I love Limited & Special Release items. I grabbed a bag for $2.50 at Publix during my typical grocery shopping run. Later that day, I opened up the bag and tried them out. Right away, the smell of Old Bay hit me like a brick. By far, these chips smell the most like what they are supposed to smell like, of any chips I have had. There was no doubt that what was contained inside, was plastered with Old Bay. 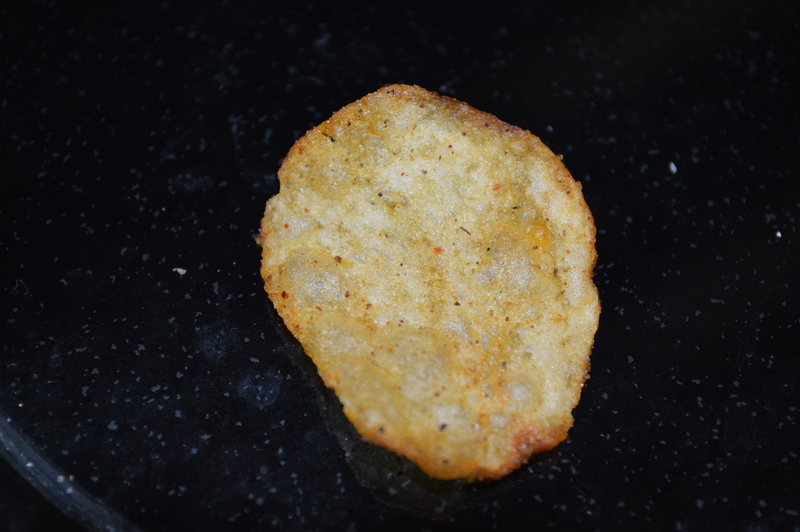 I poured some chips into a bowl and picked up my first chip. After a few snapshots, I once again smelled the chip – no change…still Old Bay. The chips themselves had coating all over them. You know those Doritios you get that are just COVERED with flavor, and you save them for last? Well, every single one of these chips would have hit that category. I began to eat the first chip and was transported away. First off, I have to compliment Cape Cod for making a killer chip that is unbelievably crunchy. I have been a fan of Cape Cod long before the kettle cook process became common place. These chips had the typical Cape Cod crunch, which was quite appreciated. As for the flavor of the chips, these tasted exactly like Old Bay. I had no doubt in my mind that the chips I was eating, were flavored with Old Bay. I could distinctly taste the seasoning and I almost felt a bit of the seafood atmosphere in the chips. Even though I use Old Bay on a variety of items, these chips most reminded me of Old Bay on or within a seafood dish. Every chip was just as flavored as the next and the taste of Old Bay stayed with me. After I finished my bowl of chips, I felt as if my mouth was totally coated with Old Bay. And, I kept tasting it for the next few hours. Minor complaints for an overall tasty experience. I purchased this bag two weeks ago and just finished it today. I’m not a chip hoarder and tend to eat only one serving at a time. I would not hesitate to purchase these again however, I don’t think I would add them to my typical chip routine – if they were even available, as they are a Limited Batch. If you don’t like Old Bay, you will not, under any circumstances, like these chips. But, if you are an Old Bay fan, and enjoy a crunchy Cape Cod chip, these are for you. I think they would be a killer side to a nice fish or shrimp dish…something I did not manage to fit in while eating the bag. Even without the Old Bay name in its title, these Cape Cod Back to the Bay Chips wound up bring me Back to the Old Bay. It’s just the mature version of the Bay. 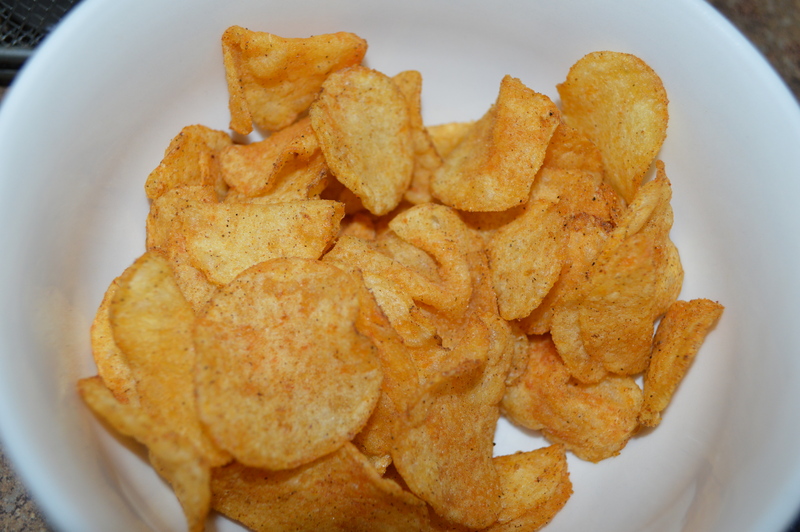 best chips ever…i love them…old bay is great on buttered popcorn or on homemade chex mix! next favorite seasoning “slap ya mama” cajun spice!